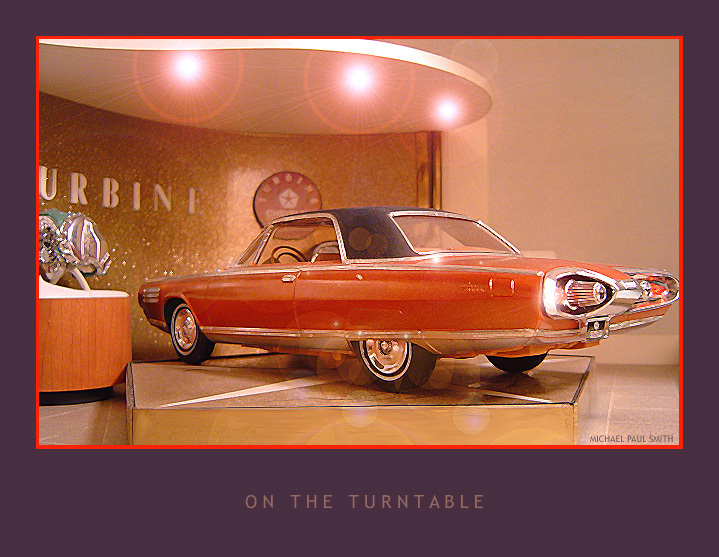 Michael Smith give us a What IF - turbine style. 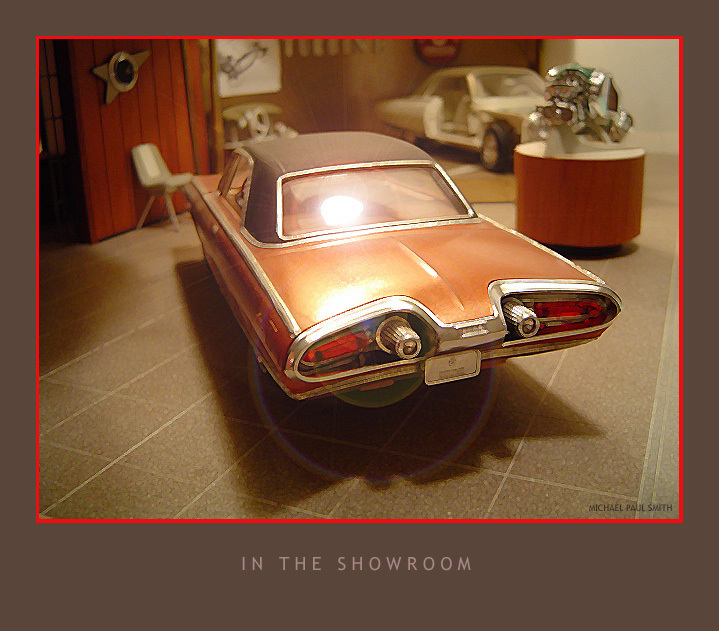 What if Chrysler had started selling the Ghia car in 1967? Well, that is exactly what Michael P. Smith asked. He also dreamed. Here is the result of that dream. 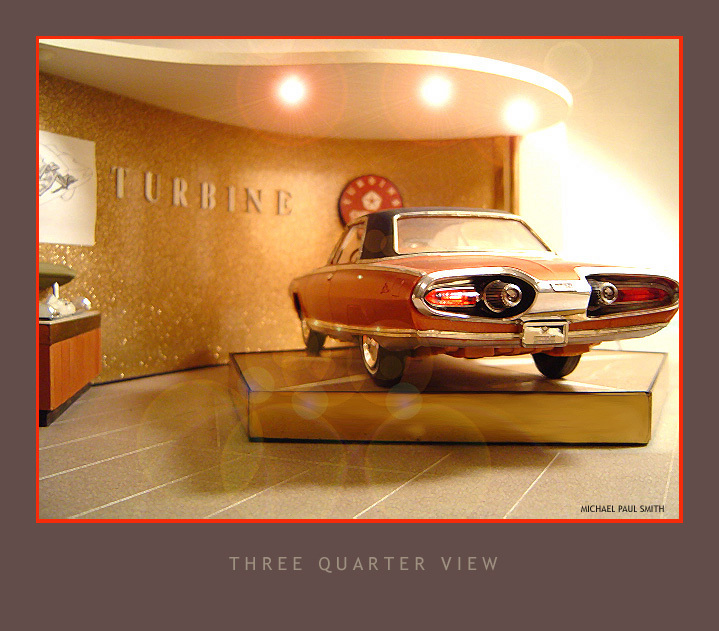 Michael calls these "Turbine Paintings" - they are Johan and Yat Ming models in realistic settings or dioramas. He then photographs them and uses computer software to make them look very realistic. I enjoyed the sample he sent to me and asked for the right to share his dream with my web visitors. And now a word or two from Michael himself - his story of why he does it. Way back in 1963, when I was 12, my father took me to the North Way Mall in Pittsburgh. It was the first enclosed mall for that city and it felt as though the future had arrived. 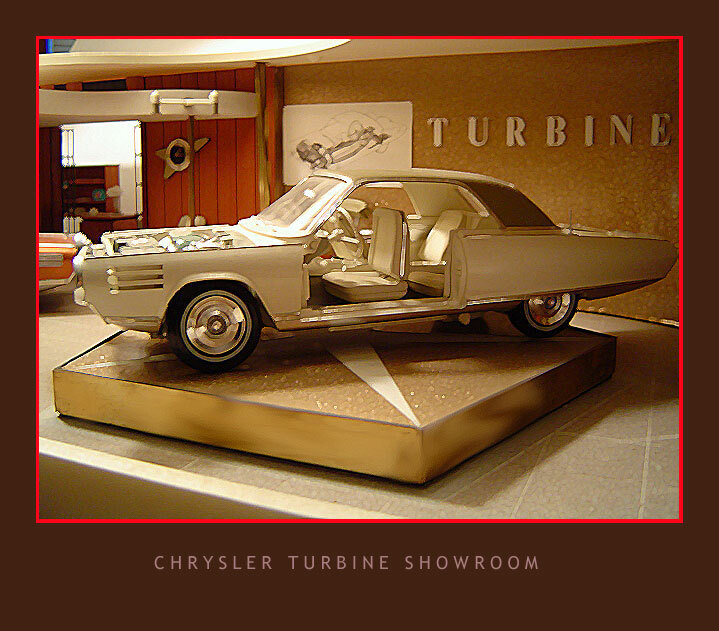 One of the attractions to get the locals to visit this new structure was the Chrysler Turbine Car. I almost passed out from the excitement of the mall and the sight of the Turbine. 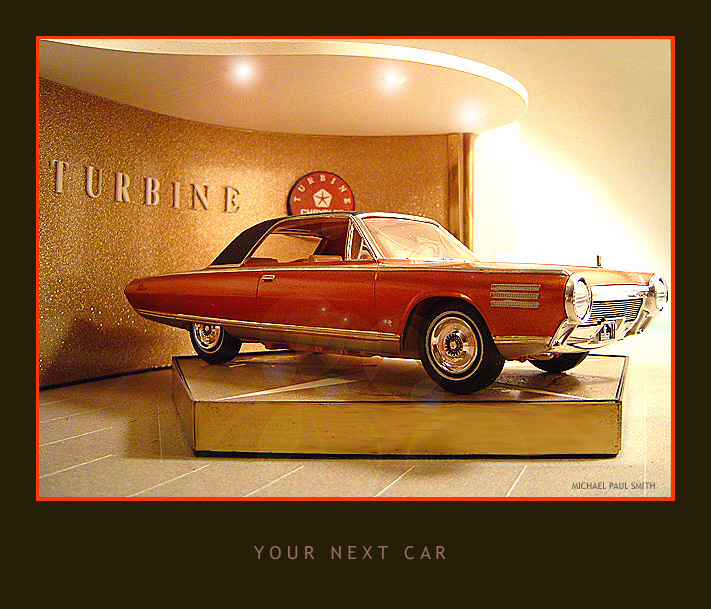 To top it all off, they were giving away free promotional models of the car; which I still have. A short while later, JoHan released a model kit, for $1.50 each. I had to mow 3 lawns to make enough money to buy one. Needless to say, I mowed as many lawns as I could and ended up buying all the Turbine kits the dime store had. I kept one unopened for almost 34 years, waiting for the right time to build something that would display the model correctly. To view a slide show of these phots - CLICK HERE. After the slide show, come back here and CLICK THIS LINK to have him share some of his secrets. If you skip the slide show, you can get there by just scrolling down this page and keep on linking ahead, it is the last page of Michael's work displayed here.